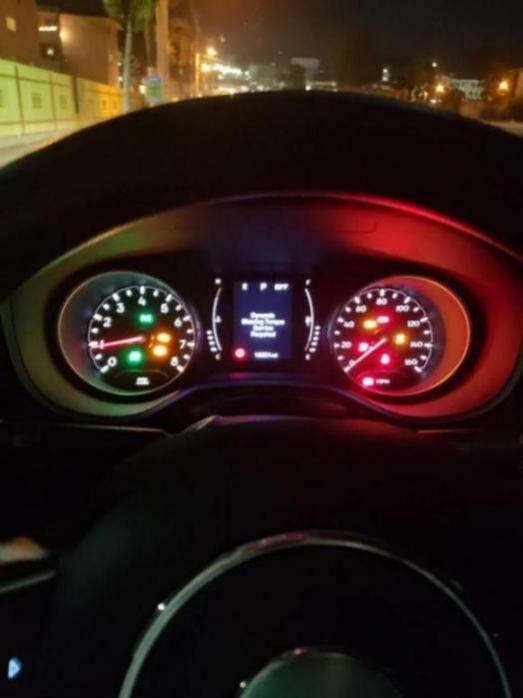 Has anyone used the AlfaOBD software with their MP compass yet? I see people on the Renegade forums using it. I downloaded the demo version of the app for Android and it seems rather robust. It shows it has support for the 2017+MP. I've been trying to connect with cheapo ELM327 Bluetooth adapters. They work reliable and fine with Torque, but not having luck with this software, but it could also be because I'm not using it correctly. AlfaOBD recommends the use of a OBDLink MX. It's not too expensive, and might be worth the peace of mind for a quality diagnostic tool. One final question does anyone know if we also need the pin reassignment cables? Yes, for full access to all supported ECU‘s , the gray and the blue adapter cables are needed. What’s a major topic right now, that FCA is starting to install a security gateway module on 2018 and later vehicles. This module blocks out any OBD diagnostic software rather than the FCA dealer software. I couldn’t find out yet, if these modules are already in the 2018 Compass. I used a cheap ELM327 WiFi interface and it worked out fine with AlfaOBD demo in reading mode. So it seems, that Euro Models do not have a SGW module. Next step is to buy full version an try more. Thanks for the info! There is an active discussion on the ram trucks forum regarding the use of alfaobd, the cables, and the security module bypass harness. Maybe the US models have the block? Would possibly make sense why I couldn't read anything. Once I get the OBDlink MX I'll be able to confirm. Looks like OBDlink MX goes on sale during black Friday, so I'll probably pick one up then. Looking forward to hearing more about this. There are a couple of things I'd like to turn on in my Comass. I had played with the OBDeleven in my 2016 Golf GTI. Lots of things that can be turned on and such. To my luck. I was able to program vehicle fog lights. After our programming the fog lights the vehicle couple needs to a proxy reset. But. Since I do that have the cables needed to do the reset. I had to go and turn fog lights off so the ECU went back to factory state and check engine and other systems light went off. I'll probably come back later and explain my self better. 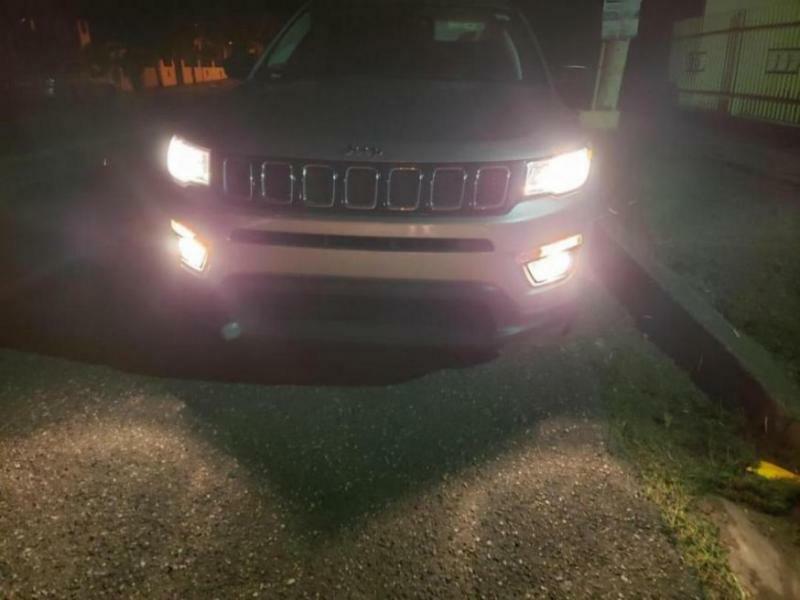 BTW I have a Jeep compass 2017 MP Sport Model with factory fog lights installed. But not activated. @jaime-figueroa So you didn't need a bypass module?? in my 2017 apparently not. I was able to enable fog lights on my 2017 SPORT model which does not have fog lights( I brought the OEM stuff check the other topic "Fog Light"). Maybe I'm starting to think I did not perform the proxy alinement properly. I had to re do a proxy alinement with stock settings ( fog lights disable ) and everything else was back to normal. I read now that a proxy alinement is required. If you don't do it after changing a setting. your car wont work. my jeep had to be moved from where I was park and my transmission was stuck in 3rd gear. I advise to do this with extreme patience and time. Don't do it like me in the middle of the parkin of the post office... after I went to get my obdlink…. Im going to try to enable fog lights later again take pictures and try everything again later with extreme patience. The results of the proxy failment. Had to disable fog lights again. And here is the failed proxy results. Anything after 2015 the PCM is locked/encrypted. There are places such as Syked Tuning and HP tuners that can remove the lock but they have to physically have the PCM. You won't be able to change anything critical in a 2015+ PCM without it being unlocked. Last edited by dawm; 11-21-2018 at 05:19 AM. So what about the bypass? well on my 2017 not required. were you using a blue or grey cable? I thought I had read on the Renegade forum we need to use a cable to do a proxy align. neither grey cable or blue one.... I already ordered the cable from ebay. When they get here il update. My VW was so much easier and cheaper to mod. I got the bypass module for $70. Hasn't come yet, so we'll see if it works. As for the ACC I see the options listed in the body computer to be enabled. I would love to enable the ACC and self parking. 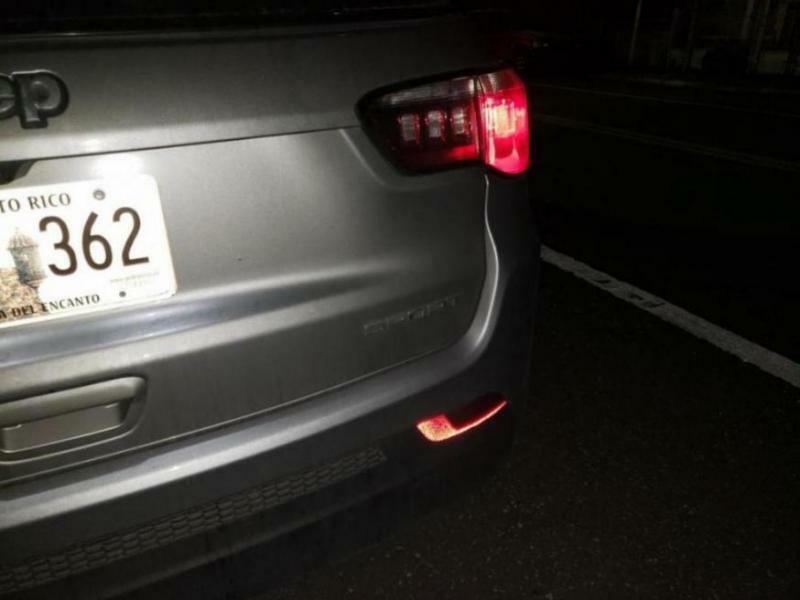 I also see the Europeans get proper LED headlights and tail lights. Wonder if I got those parts if they need to be enabled? So, can you enable the self parking feature on a base Sport model as well with this bypass module and this software? My Compass has got that self parking feature. That means she has all the sensors integrated necessary for that feature. German Compass models which do not have that so called Parking Package are missing some of the needed sensors in the front bumper. Hence that self parking cannot work without all the entire sensors needed. There's more to it than simply activating a check box. That much I figured. Mine has the sensors front and back as it has auto emergency braking, lane departure assist and blind spot. Some digging and I am quite certain that Canadian Jeeps with the advanced safety has all the sensors, just need to turn it on. But I'm not 100% sure. It also may be that a new ABS module is needed. I would need to somehow compare part numbers. OK, in that case it would be worth to give it a try. I have my new 8.4 ordered and should be arriving soon. Hopefully with alfaobd, the bypass module and cables I'll be able to do the install myself. If that goes well, I might try to add the forward collision warning radar since that wasn't offer in the US on manual transmission vehicles. I might consider some LED lights too. Can't wait to hear how it goes. If you are successful, I'll go next. Did it work? What else do you need to buy? The 8.4 screen? My Bluetooth obdlink MX came in. I was able to connect to the body computer and dump out the info. I could do diagnostic tests like turn on lights, wipers, etc. I tried to make some configuration changes like set enable NAV & GPS presence, and set the trailhawk theme. They seemed to write OK, but then on next start it would show a bunch of warning/service messages. Nor could I see a change in the theme. There might be a better config change to try? Also when I did a proxy align, it would get so far then give an error message. AlfaOBD never prompted for a different cable. My adapter cables and bypass module have arrived yet, so more testing to come. I was able to write the old configurations back and the warning/service messages went away and it functioned normally. Went to drive it this morning and had the flashing odometer and airbag warning message. I don't think I did a final proxi align after I set everything back to normal. Or I might just need to clear codes. Oh no! Do you think you'll be able to get this to work? I hope so. I don't think infotainment.com would sell the upgrade if it couldn't be done. I haven't added anything to my Jeep yet. still waiting on my touchscreen (and bypass). I was just toggling some settings playing with AlfaOBD. So i should be able to reset everything back. So what options are you seeing? Adaptive cruise, self park, folding mirrors, LED lights etc ...?